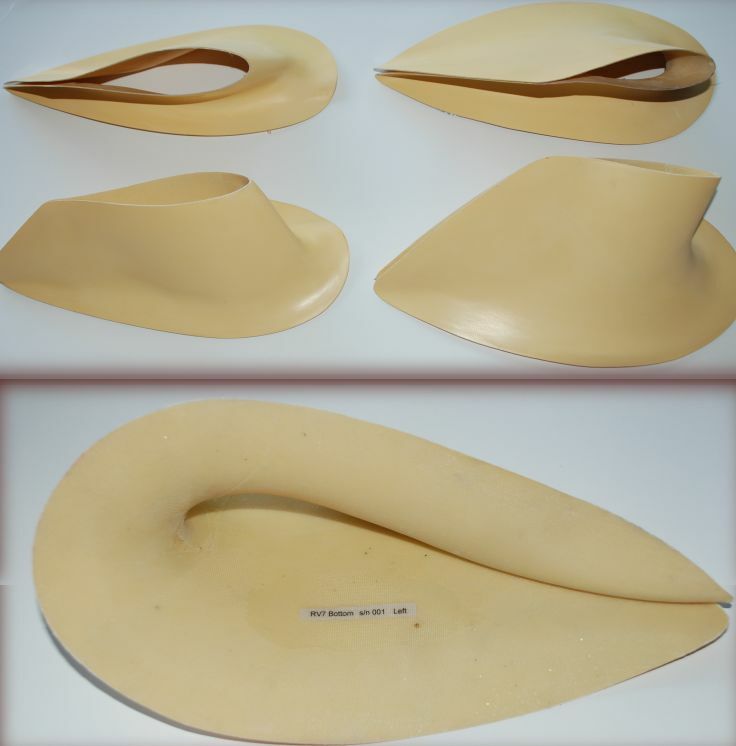 RV6A, 7A and 9A Intersection fairings – set of four. Professionally build by a professional. No more sanding and filling. No more pin holes. Lightweight. The bottom ones can be split and bonded to the wheel pants if that is your choice. They can be trimmed slightly smaller but are OK just as they come. Selling at about half the price compared to others available. Excellent quality! Anytime while working with fiberglass in saving time filling pinholes and shaping is a huge benefit. Great product! Almost ready to paint and attach. Far surpasses products purchased from other vendor,replacing all intersect fairings with RV Bits products.Excelent quality,highly recommend fairings. Very high quality fairings, and will require little additional mod work. My trial fit shows they'll likely work right out of the box. These fairings are the best on the market. Customer service was exceptional, with good communications and shipping arrangements. I am a satisfied customer ! Click the button below to add the RV6A, 7A and 9A INTERSECTION FAIRINGS to your wish list.